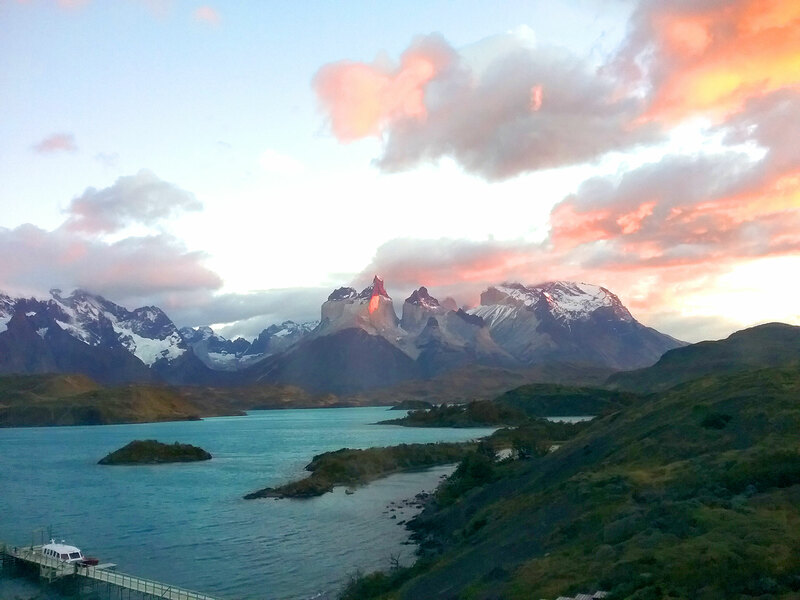 Torres del Paine is quite simply one of the most amazing geographical wonders of the world. The Park is set in the heart of an area of incredible outstanding natural beauty in the heart of Patagonia. 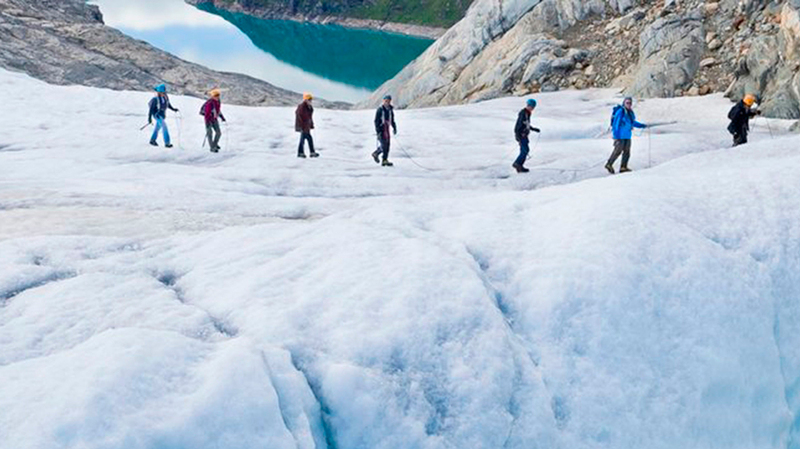 It is also a main trekking destination, home to the iconic W Trek and Circuit trek trails, as well as the stunning Grey Glacier, waterfalls, rivers and lakes. We are a locally-based, but British-owned and managed, specialist travel operator approaching close to thirty years of experience of creating custom-built itineraries throughout the Patagonia region (and Antarctica), with a focus on the W trek in Torres del Paine. Our service includes coordinating transfers and making reservations at the refugios on the iconic W-Trek and Circuit Trek trail within and around the Torres del Paine central massif including the Torres base; the French Valley and Grey Lake. 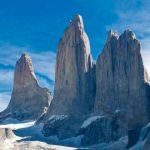 We can also arrange Torres del Paine accommodation in general as well as at the top-end hotels of: Tierra Patagonia, Explora Salto Chico and Awasi Patagonia, each of which offer amazing all-inclusive programs, which are World-Class experiences in their own right. OFFER: Should we include an itinerary or reservation (min 4-night all-inclusive stay) at one of the top-end hotels mentioned we will also include one of the following free of charge: Return flight per person Santiago to Punta Arenas (or Puerto Natales), hotel room for two, for one night anywhere in Chile or Argentina up to USD400 per night, or a transfer from or to El Calafate if not included in the initial reservation. 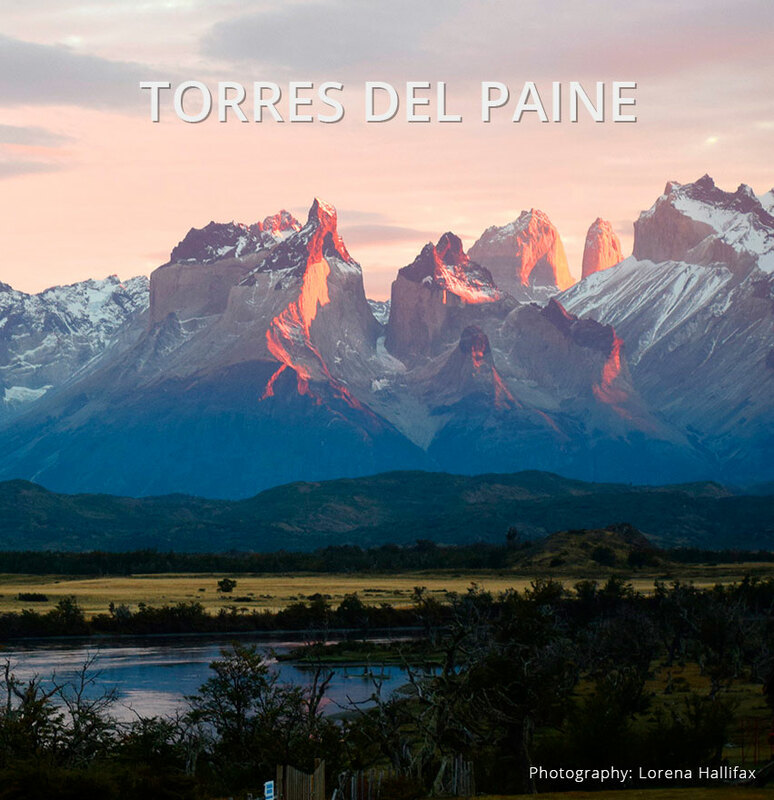 Torres del Paine is quite simply one of the most amazing geographical wonders of the world. 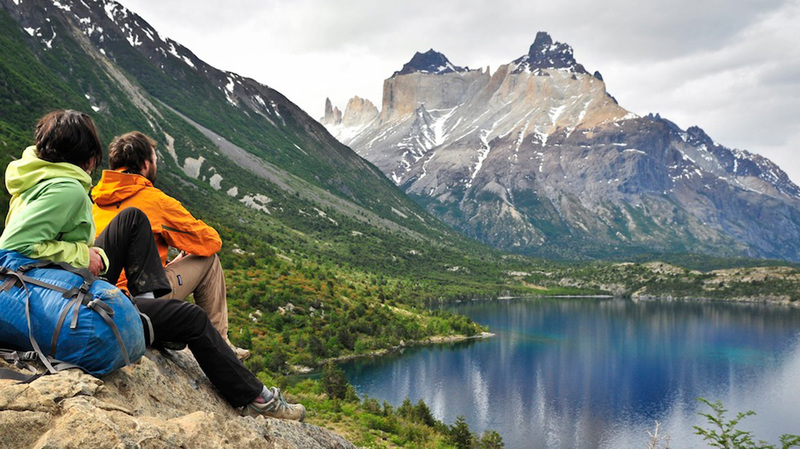 Set in the heart of an area of incredible outstanding natural beauty – Patagonia. The Park covers 182,000 sq hectares and is the jewel in Chile’s tourist crown. Just why it’s worth travelling 4hrs from Santiago on a plane and then driving a further 5 hrs by car is only apparent when you stand and stare in amazement at the unbelievable sight of this monumental cluster of mountain peaks that appear to stand all on their own in the middle of an otherwise flat plateau. 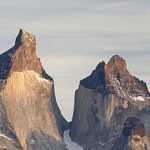 Comprising this central massif are the “Cuernos del Paine” (Horns of Paine), covered in snow at varying altitudes and offering support to giant blue-white blobs of ice otherwise called hanging glaciers, and three other towers – which are the Torres del Paine (Towers of Paine). The sight of the almost vertical rock sides of the “Cuernos” rising up to an altitude of close to 3,000m is what causes such an awe-inspiring, mesmerising view. “The Paine massif is unrivalled….. In its colours and form it is without doubt one of the most fantastic and spectacular sights that human imagination can conceive.” Salesian missionary Padre Agostini. We also offer reservations for accommodation at the top-end hotels: Tierra, Explora and Awasi that have all-inclusive programs, which are World-Class experiences in their own right, as well as the iconic W-Trek and Circuit Trek trail within and around the Torres del Paine central massif covering the Torres base; French Valley and Grey Lake. This really is “our territory”, we are the specialists for Patagonia with superb local knowledge and an office in Puerto Natales. 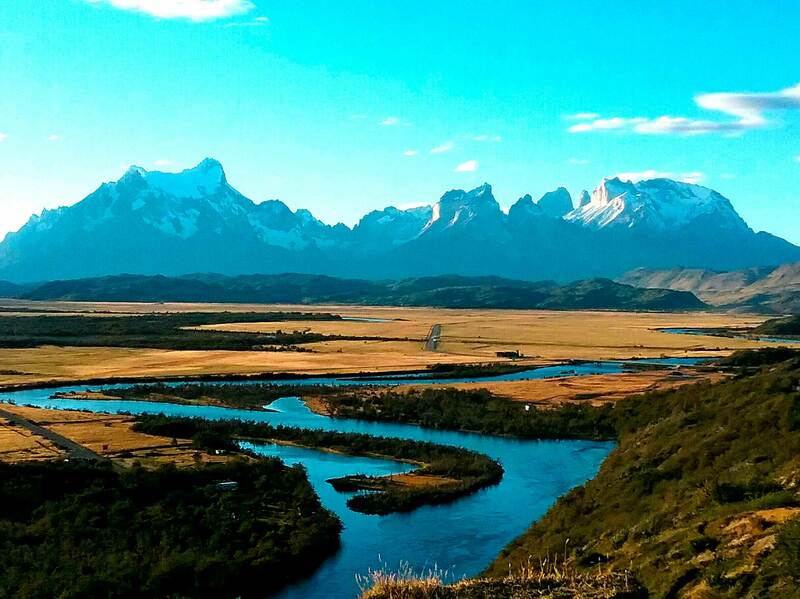 The vast Torres del Paine comprises the peaks of Torre Monzino (north) (2,600m), Torre Central (2,800m) and Torre D’Agostini (south) (2,650m). To the east of the Torres del Paine is the Valle Ascencio. Cuernos del Paine comprise Cuerno Principal (2,600m), Cuerno Este (2,200m) and Cuerno Norte (2,400m). To the west of the Cuernos del Paine is the Valle del Frances – one of the glories of the park – a high altitude valley ringed by a curtain of almost vertical rock. Surrounding this jaw-dropping spectacle is a natural wilderness of turquoise-coloured lakes, waterfalls, glaciers (especially Grey glacier) and fast-running rivers. The massive Grey Glacier, 7km wide at its widest point and stretching back over 20 km., is still in the process of carving its own valley to the west of the Cuernos del Paine. The Summer: December, January and February is typically the most popular time for visitors because the weather is warmer and it is the Winter holiday period in the Northern hemisphere. To avoid the crowds the best time to visit is before mid November or after March. 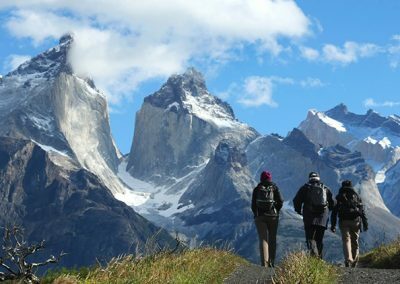 The vast majority of people coming to Torres del Paine will come to hike the famous “W” trek and the more serious trekkers will hike the complete “circuit”. The “W” is called so because the route forms a pattern like a “W” and the circuit, although encompassing the “W” also takes in the back area behind the Central Massif and completes a circuit of the Park and hence its name. 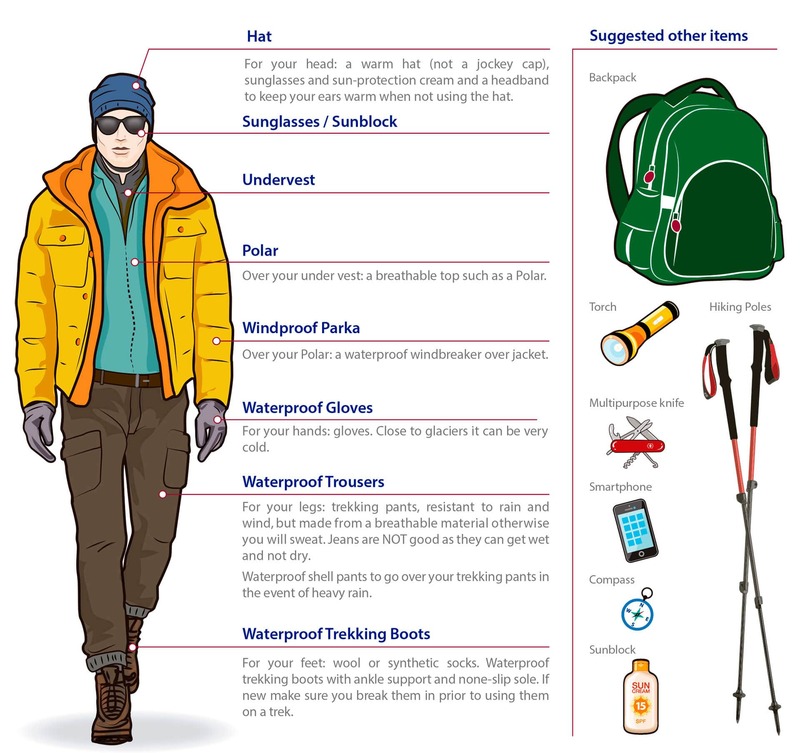 Each route takes a number of days and involves serious trekking; therefore trekkers should be reasonably fit. All accommodation on either trek trail must be pre-booked. Options on the trails include a number of hikers’ hostels called “refugios” (refuge) and / or serviced camp sites. Refugios offer rather basic, shared dormitory-style accommodation along with communal shower rooms. However, we can also arrange the W Trek route incorporating overnight stays in HOTELS with private rooms and en-suite bathrooms, but this will involve private transfers to get you from one hotel to the next. We can also arrange the W Trek from your hotel in Puerto Natales, going in each day to the trail head. This will involve some private transfers. There are now three top-end luxury-level “World Class” hotels in and around Torres del Paine. These are the Tierra Patagonia, Explora Salto Chico and Awasi Lodge Patagonia. These places offer superb accommodation, great food, guided excursions with educated guides, and in two of the three a wonderful pool and spa facility. Look in both our Featured Hotel sector on this page and also offers sector to see more about these properties. 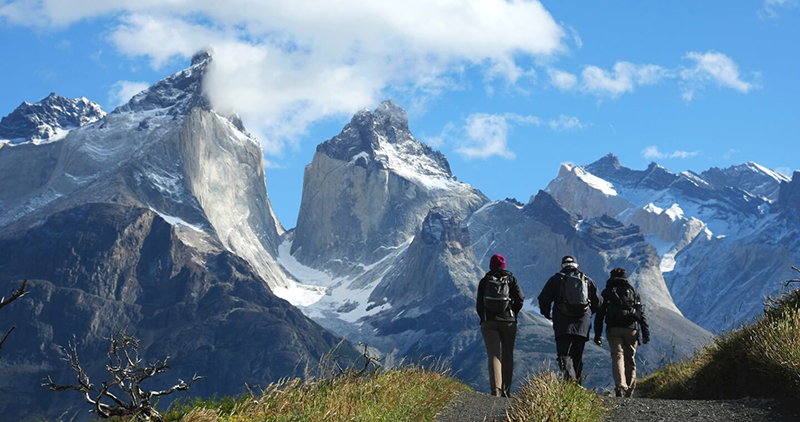 If trekking is not your thing we can arrange a full day tour of the sights in Torres del Paine either from one of the standard hotels in the park or from Puerto Natales. You will have a private service taking you around to the key sights with an option to include the boat trip to Grey Glacier too. 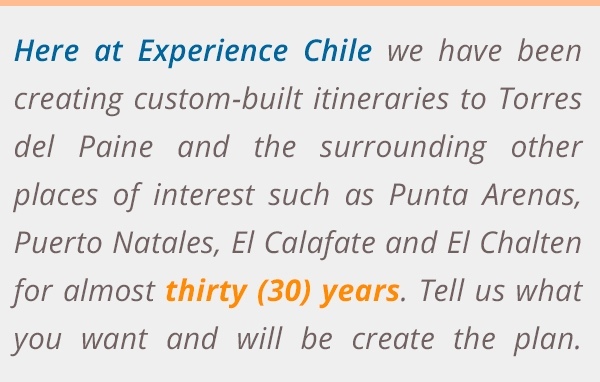 ExperienceChile.Org will include in the itinerary regular bus transfers and private local transfers. We can also arrange rent a car and private long-distance transfers. For those with a higher budget, or for private groups travelling together, a private transfer between cities and / or in to and out of Torres del Paine is the way to go. A private transfer will go at the times you want and take you door to door. For those who wish to have total independence having your own car use is the ultimate winner. You can go where you want when you want. Remember that if you want to take the car across the border a permit is required and this requires about a week’s notice. Most commercial flights will land at Punta Arenas some 3.000km south from Santiago. Note: There are NO commercial flights from Buenos Aires nor El Calafate to Punta Arenas. The direct flight will take just under 4hrs and the one that stops off at Puerto Montt en-route will take around 4.5hrs. From the airport you would then either be met by a private transfer service (if you have contracted one with ExperienceChile.Org), take the regular bus from Punta Arenas city centre to Puerto Natales and change to another bus to get to TDP, have asked ExperienceChile.Org to pre-arrange a regular bus pick-up at the airport, or have arranged for your own car rental. Note that a permit is required to take any car across the border in to Argentina. 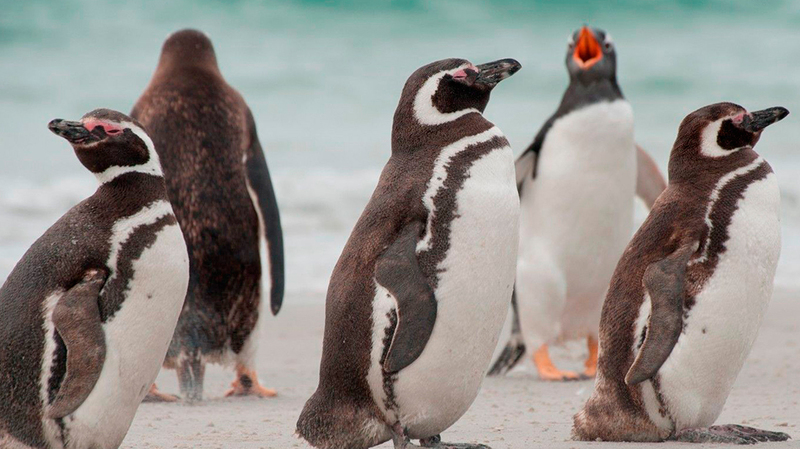 You need to fly to El Calafate in Argentina from Buenos Aires or Ushuaia. Here you can stay overnight with an option to go to El Chalten (3hrs away by road) and / or visit Perito Moreno glacier the following day and then the next day come over to TDP. 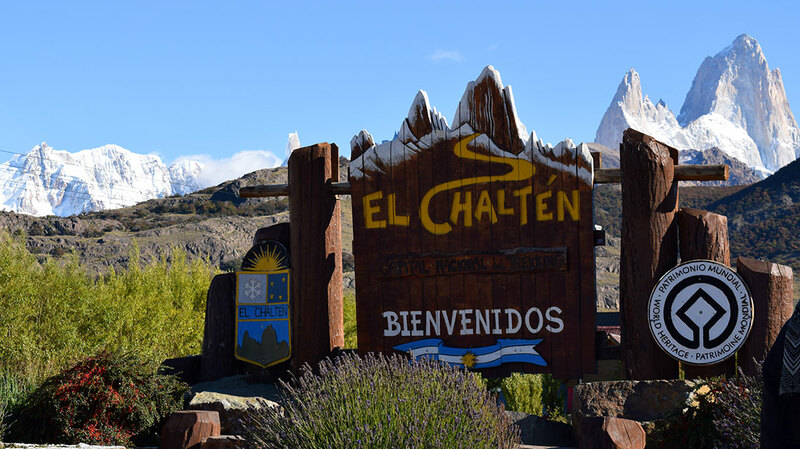 From El Calafate you can take the regular bus across the border (departs 08:00hrs) to Puerto Natales (arrives 13:00hrs approx) and change to the regular bus that then goes to TDP departing around 14:00hrs, or arrange a private transfer service or a car rental. Also from El Calafate ExperienceChile.Org can organise a direct bus transfer to TDP (Laguna Amarga) departing El Calafate at 05:30hrs, which takes 6hrs. NOTE: No fruit, raw meat, raw vegetables, seeds or cheese is allowed over the border in either direction. If you try to do so you WILL be fined. There is a cafeteria at the Chile border where you can buy snacks as well as at the mini-markets on the W-Trek in TDP. Navimag operates a commercial ferry ship, which also takes passengers, from Puerto Montt. This ship arrives to Puerto Natales and offers a good-value cruise that passes through the channels and fiords in the area en-route to Puerto Natales (the cruise is available from Puerto Natales too) and ExperienceChile.Org can arrange the reservations. From Puerto Natales you either take the regular bus to TDP, have a pre-arranged private transfer meet you or organise a rent a car. 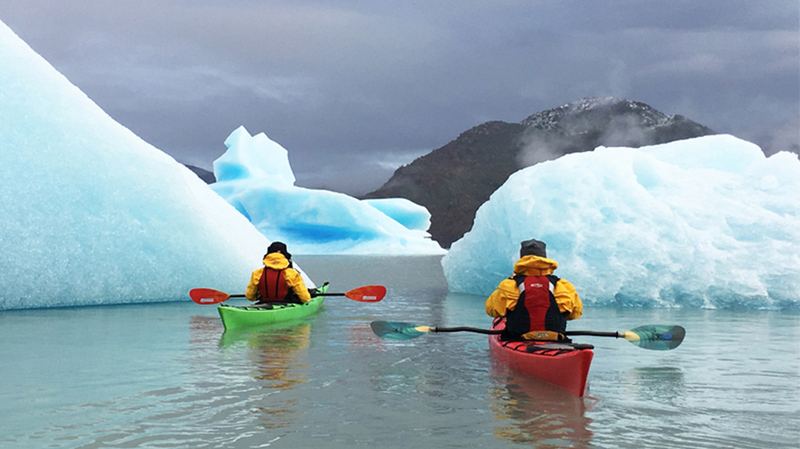 There are numerous activity excursions to choose from in and around Torres del Paine. What follows are only some of the more typical places of interest and activities. Some excursions can be done by touring in a vehicle, but most are done on foot and in some cases on horseback. 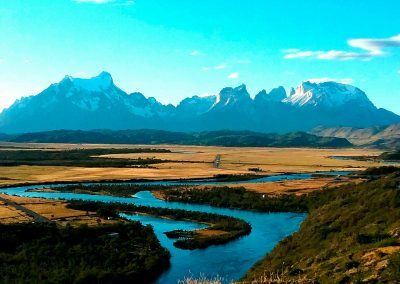 Apart from the staggering visual scenery Torres del Paine is also home to many varieties of bird species including the Condor, and rare types of flora and fauna such as the Puma and Guanaco. The Administration Centre (Sede) This is located in the sector near to Rio Serrano and is the base for CONAF (the park administration people), the Carabineros (the Police). Here there is an excellent exhibition display of the geographical history of TDP and is well worth a visit for those who are interested to know how the amazing and spectacular geographic features of the areas were created. 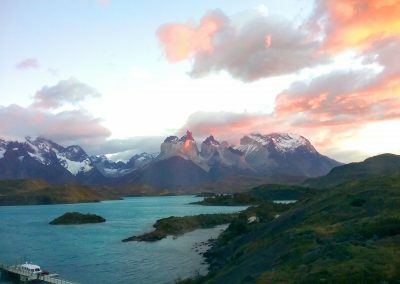 Located near to Hosteria Lago Grey, the return hike is about 7hrs with panoramic views over GreyLake, Pingo Glacier, Torres del Paine Massif and the Cuernos de Paine. The trek involves some difficult uphill stretches. From this lake is a great view to the Paine Massif and in the immediate area is the Nothofagus wood with Lenga and Nirres trees. The trek will be around 4hrs and not difficult. Located “around” the other side of the Park (going in an anti-clock wise rotation), this is a very blue-coloured lake from which there is a great view to the towers of Torres del Paine and also home to many types of flora and fauna and especially good for bird watching. Accessible by vehicle. Located about 1km up the track from Pudeto (from where the catamaran operates). Salto Grande means Large Waterfall. The viewing area is very close to the action and offers people the opportunity to see the power and hear the mighty rumble of vast volumes of water cascading through a narrow gap and then thunder down to the drop some 30mts below. 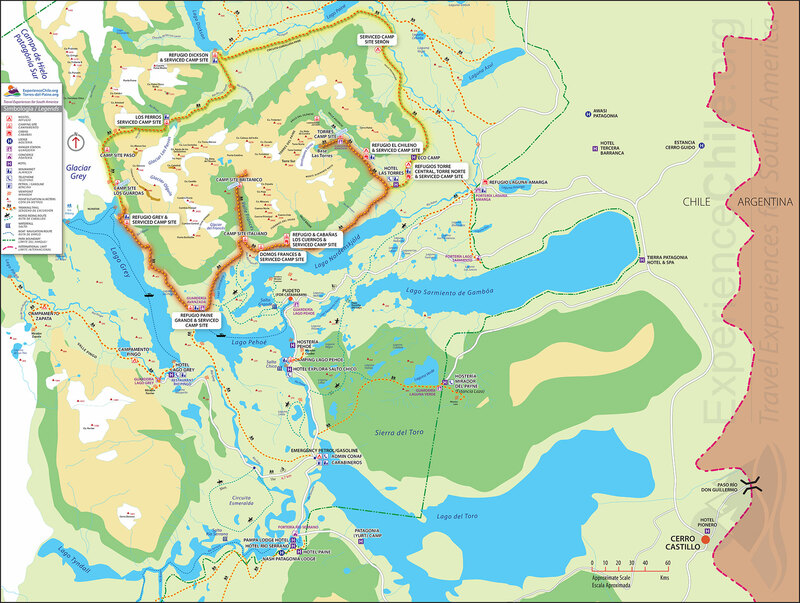 The start of this trek is from the Estancia (Hosteria) Mirador del Paine – which is technically outside the Park. The trek takes about 8hrs and offers a great view of Lago Toro and a panoramic view of the TDP Massif, glaciers and other mountains. It ends in the Park not far from the Weber bridge, so you will need to be met at the end point.  This trek is moderate in difficulty. This trek will take around 8hrs return and starts from the Hotel Las Torres area. 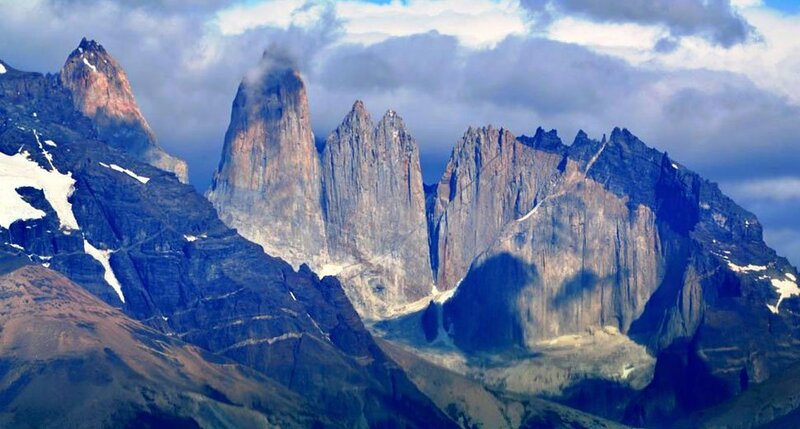 It passes through the AscencioValley and NothofagusForest and ends up at the Mirador (View Point) at 980mts from where there is a spectacular view of the three Towers of Paine and the Condor’s Nest, and magnificent rock formations. The trek is demanding and part of it can be done on horse back from Hotel Las Torres. It takes 2hrs to reach the Refugio Chileno and then another 2 hrs to reach the Mirador. To get to the FrenchValley it is necessary to take the catamaran from Pudeto across the LakePehoe to Refugio Paine Grande. From here the trek enters in to the FrenchValley which offers stark and impressive views of Glacier Frances and Cuernos del Paine. The return trek is about 10hrs and quite demanding. Access to Glacier Grey is either by boat from Hotel Lago Grey or by trek from Refugio Paine Grande. By boat from Hotel Lago Grey the excursion lasts about 3 hrs and offers a close-up view of the glacial face and the chance to drink samples of Whisky or Pisco with millennia-old ice! Trekking to Grey from Paine Grande takes about 4hrs and then on to the Mirador to see Glacier Grey closely takes another 1.5hrs (plus another 1.5hrs to return to Refugio Grey. From Refugio Grey you will need to take the boat to Hosteria Lago Grey or trek back to Refugio Paine Grande. The trek from Refugio Paine Grande to Refugio Grey is moderately demanding. Aboard the Stella or Ventus Australis. Cruise tour the Fjords of southern edge of Tierra del Fuego. The outer edge of the workd awaits on an adventurous nine-day (eight-night) hourney along the same waterways that inspired Charles Darwin. 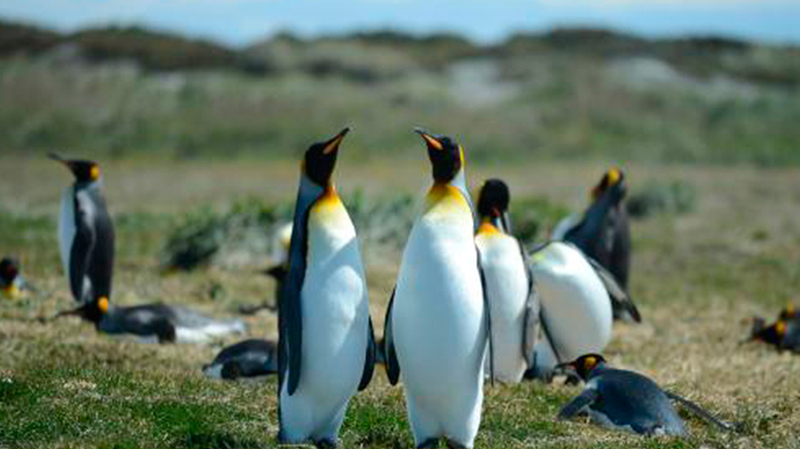 We offer a full-day excursion from Punta Arenas to Tierra del Fuego Island to visit a colony of King Penguins. Pick-up is at 07:00hrs from your hotel in Punta Arenas, returning around 19:30hrs.In order to enjoy this excursion you need to have the previous night and the night after the excursion in Punta Arenas. 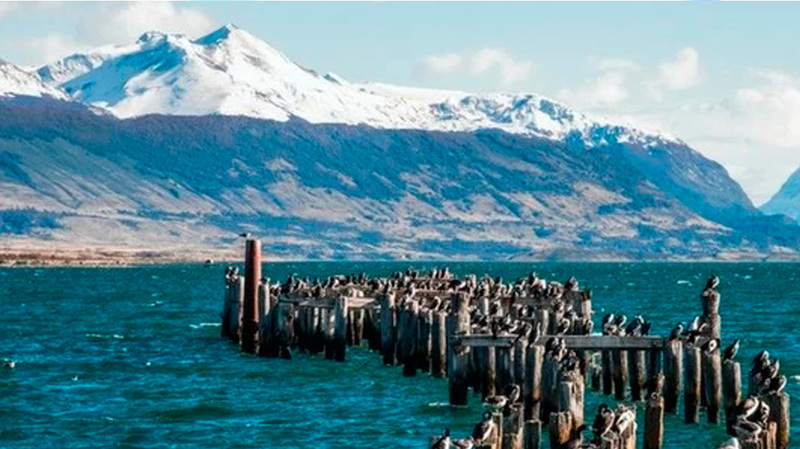 We offer a half-day excursion to see the Magellan penguins on Santa Magdalena Island, which is in the middle of the Magellan Stretch. 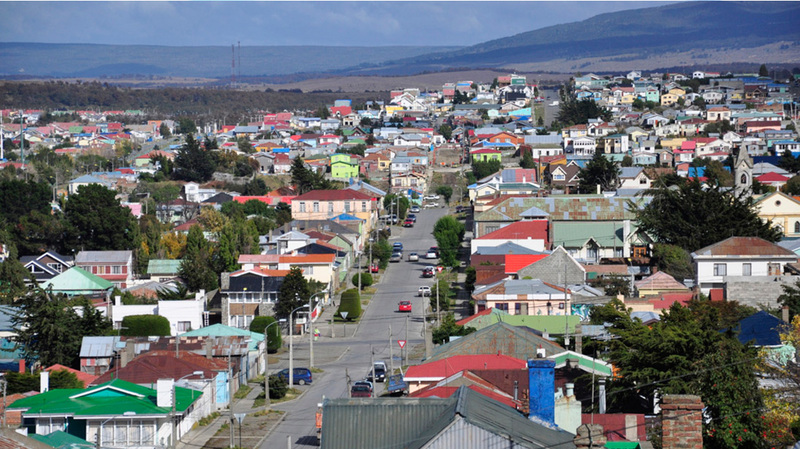 Check-in is required in the centre of Punta Arenas at 06:30hrs. Kayak is on Grey Lake in front of Glacier Grey and operated from the base near to Refugio Grey. For this activity reservations in advance are required. Operated Between: October to the end of April.